In November 2010, the Group unveiled its 2015 strategic business plan named “Route 2015”, which defines strategies and objectives for the period up to 2015. This plan is the most comprehensive the adidas Group has ever developed, incorporating all brands, sales channels and Group functions globally. 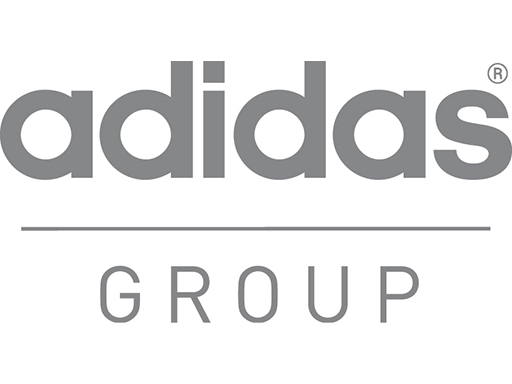 Based on its strong brands, premium products, extensive global presence and its commitment to innovation and the consumer, the adidas Group aspires to grow its business significantly until 2015. According to our plan, total Group sales are targeted to grow 45% to 50% on a currency-neutral basis over the five-year period, thereby outperforming total market growth (both GDP and sporting goods industry). In addition, we aim to grow our bottom line faster than the top line. It is targeted to grow annual earnings at a compound annual growth rate of 15% and to reach an operating margin of 11% sustainably by 2015. In September 2012, Management confirmed its Route 2015 aspirations for the Group. It also provided an update on its targets by segment and by brand in light of the Group’s performance in the first two years. For the adidas brand, the 2015 goal was increased by € 600 million to € 12.8 billion. adidas Sport Performance sales are now projected to reach € 8.9 billion (previously: € 8.5 billion), with the increase in expectations driven by record-breaking football sales and momentum in the running and basketball categories. Additionally, sales expectations for adidas Sport Style were increased to € 3.9 billion, up from € 3.7 billion, due to the continuing strong global resonance of adidas Originals and the solid performance of the adidas NEO label. At the Reebok brand, taking into account the strategic decisions to discontinue the NFL contract, reduce exposure to lower-profit markets such as India and Latin America, as well as shift the reporting of US-related NHL sales to Reebok-CCM Hockey, Management now expects sales of € 2 billion in 2015, compared to its previous goal of € 3 billion. The reduction of expectations for Reebok, which is partly offset by the projected increases at adidas, results in a reduction in the Wholesale segment revenue target to € 10.2 billion (previously: € 10.6 billion). Retail segment sales expectations remain unchanged at € 4.6 billion. In Other Businesses, which achieved its Route 2015 sales target of € 1.8 billion already in 2012, 2015 goals were raised to € 2.2 billion. This is driven by an exceptional performance so far at TaylorMade-adidas Golf and the growth opportunities expected with the acquisition of Adams Golf. adidas Sport Performance: gaining sales and market share in the running and basketball categories. adidas Sport Style: expanding in the fast-fashion business with the adidas NEO label and maintaining the strong momentum of adidas Originals. Reebok: establishing Reebok as the leading fitness brand. Leading the industry in the fields of customisation and interactivity. Expand presence in key growth markets: We have identified North America, Greater China, Russia/CIS, Latin America, Japan and the UK as key growth markets. Of those markets, the three ”attack markets” North America, Greater China and Russia/CIS are expected to contribute around 50% of the total Group growth under the Route 2015 plan, with each market targeting a double-digit compound annual growth rate. In the USA, the Group’s brands have enormous potential to gain market share by focusing on improved distribution and allowing a higher share of products to be specifically designed for that market. In emerging markets such as China and Russia/CIS, rising standards of living, increasing disposable income, positive demographic trends and growing sports participation should support demand for sporting goods. Intensify controlled space focus: We intend to increase the portion of sales that comes from controlled space initiatives to over 50% of Group sales in the coming years (2012: 45%). This includes new openings of adidas and Reebok own-retail stores, the further extension of our mono-branded franchise store base in markets such as China, as well as new shop-in-shop initiatives with retail partners around the world. In terms of our own retail, we intend to open at least 550 adidas and Reebok stores over the five-year period, as well as grow significantly our eCommerce business, which we project to increase to € 500 million by 2015. Leverage growth and operational scale through to bottom line: A higher exposure to emerging markets as well as expanding controlled space activities are important levers to improving brand presence, increasing sell-through and driving higher Group profitability. In addition, we continuously work on streamlining internal processes to accelerate decision-making, reduce complexity and make our organisation leaner and more efficient. At the beginning of 2011, we launched Driving Route 2015 to act as a key enabler to achieve these aspirations. The objectives of Driving Route 2015 are very clear: speed, consistency and consumer focus. Speed by implementing a leaner organisation that allows faster decision-making. Consistency by establishing a more aligned and efficient organisation across functions and geographies. Consumer focus by reducing internal complexity, enabling us to put more of our energy into what really matters – the consumer. In addition, we have identified several profit levers across the Group to support improvements in profitability. For example, we are targeting improved product margins with initiatives such as range reduction, where we have the goal to achieve a 25% reduction by 2015. In wholesale, we are improving our business by sharpening our trade terms policies and reducing our exposure to lower-quality channels of distribution, focusing on higher-quality partners more aligned to where our target consumer is shopping. On our mission to become a best-in-class retailer, we are already halfway to our Route 2015 goal to add five points of margin in our Retail segment. Given the strong results from our HR programme SHINE, our real estate optimisation projects and benefits from the expansion of our Global Foundation Range, we are likely to exceed our original Retail margin target by one or two points. In manufacturing, we are combatting inflation in the supply chain by increasing our investments in automation and new production techniques. Also, our investments in infrastructure such as the new distribution centres in Osnabrueck/Germany, China and Canada will ensure we increase capacity in a cost-efficient way to service all of our channels, be it wholesale, own retail or eCommerce. Finally, we continue to work on enhancing our planning processes, to further improve profitability and working capital efficiency. Therefore, we believe there is significant potential to increase the Group’s operating margin to 11% sustainably by 2015. Maintain financial flexibility: We strive over the long term to maintain a ratio of net borrowings over EBITDA of less than two times. A strong balance sheet increases our flexibility to realise value-generating medium- and long-term opportunities in the best interests of our shareholders as they arise. This entry was posted in NEWS & ARTICLES, SPONSORSHIP, SPORTS AGENCIES, SPORTS BRANDS and tagged Adams Golf, Adidas, Business, China, Greater China, Group, Reebok, TaylorMade-Adidas. Bookmark the permalink.